On Monday, February 24 Legislative staff met with representatives from the construction company building the Denver VAMC to discuss construction challenges and solutions. On February 24, Legislative Director Louis Celli was interviewed on the Christian Broadcasting Network (CBN). He commented on DOD Secretary Chuck Hagel’s request to reduce US armed forces to levels rivaling those of the pre-World War II military. Mr. Celli said that any military cuts are always perceived as weakness. "Terrorists are going to look at a reduction in military force as a win for them and a possible opportunity to gain the upper hand," he said. On February 25 Legislative staff attended a press conference and rally on the House side of Capitol Hill to pass H.R. 813, the Putting Veterans Funding First Act of 2013. This measure – introduced by House Veterans’ Affairs Committee Chairman Jeff Miller (FL) – would extend advance appropriations to all VA discretionary programs, services and benefits. On February 26, Legislative staff attended a hearing entitled “American Energy Jobs: Opportunities for Veterans” in the Longworth House Office Building. The hearing focused on job opportunities resulting from the construction of the Keystone Pipeline. On February 27, Legislative staff will meet with staff members of the office of Sen. Michael Bennet (CO) to discuss a proposed OJT program and S. 1216. On February 27, Legislative staff will meet with Askia Suruma, minority staff director of the House Ways and Means Committee, to discuss H.R. 3395, the VOW to Hire Heroes Extension Act, which contains a Veteran Work Opportunity Tax Credit. On February 27, Legislative staff will meet with Ryan Huff, House Ways and Means Committee majority staff assistant – together with members of the VFW – to continue discussions on H.R. 3395. On February 24, the Veterans Employment & Education Division (VEED) staff met with Representatives Mac Thornberry (TX), Vice Chair of HASC, Jeff Miller (FL), HASC member and Chairman of HVAC, and Randy Forbes (VA), HASC member, staff to discuss the usage of military tuition assistance (TA) towards professional credentials that will decrease the amount of Unemployment Compensation for EX-Service members (UCX) and/or Extended Benefits (EB) being spend out of the respective services budget, which was estimated in FY 12 to be around $1.7 billion. By extending the usage of TA to the service branches, it will allow for the services to use TA as continuing force enhancer, which is key to better job and performance and readiness. On February 25, VEED staff met with KC Choi, Veterans Program Director, Citi Salutes, regarding participation in employment and small business development events during the Washington, DC Conference. On Tuesday, February 25, VEED staff attended the Interagency Council on Homelessness (ICH) meeting. The meeting included discussion and updates on DC's plan on eliminating homelessness (including veterans) and other related issues. DC housed (from August 2013 – November 2013) 207 homeless veterans (96 of them were chronically homeless). DC has also decreased its time of identifying homeless veterans and getting them into housing from 111 days on average to 57 days now. On February 26, VEED staff met with the National Coalition for Homeless Veterans (NCHV) to discuss legislative and policy issues regarding veteran homelessness. On February 26, VEED staff attended the American Enterprise Institute (AEI) event titled, Defense budget priorities for 2015 and beyond: A conversation with Acting Deputy Secretary of Defense Christine Fox, to hear about the president’s fiscal year 2015 budget submission, as well as how the Pentagon is preparing to make difficult choices regarding forces structure, readiness, and modernization to achieve a balanced, capable force for the future. On February 26, VEED staff is meeting with Representative Derek Kilmer’s office to discuss Kilmer’s veteran’s employment bill. On February 27, VEED staff is meeting with Senator Michael Bennet’s office to discuss improvements to VA’s on-the-job (OJT) program. On February 27, VEED staff is meeting with House Ways and Means Committee (majority and minority staff) regarding insertion of Work Opportunity Tax Credit (WOTC) into a possible extender bill. On February 27, VEED staff will be meeting with Jeff Greenwald, Executive Director, Institute of Hazardous Materials Management, to discuss provisions within Section 542 of the FY 2015 National Defense Authorization Act (NDAA) that recognizes credentials as a way to correlate skills and training for veterans looking to enter and obtain credentials in Certified Hazardous materials Managers, Certified Hazardous Materials Practitioner and Hazardous Materials Manger-in-training programs, as well as Personal Certification Bodies (PCB). On February 28, VEED staff is meeting with staff from the House Committee on Transportation and Infrastructure (Subcommittee on Highways and Transit) regarding the introduction of Representative Michael Fitzpatrick’s H.R. 2906, Fairness to Veteran’s Act. If enacted it would amend MAP-21 to revise the requirement that 10 percent of the award of contracts for federal-aid highway, federal public transportation, and highway safety research and development programs be set-aside for small business concerns owned and controlled by socially and economically disadvantaged individuals. Requires the set-aside to include veteran-owned small business concerns. On February 17, 2014, The American Legion’s System Worth Saving Task Force conducted a Town Hall Meeting at 7 PM American Legion Battle Mountain Post 71 at 1045 Jennings Avenue in Hot Springs, SD for veterans to discuss the VA Black Hills Healthcare System. Over 100 veterans, their spouses, congressional representatives and local officials were in attendance. From February 18-20, 2014, The American Legion’s System Worth Saving Task Force conducted a site visit of the VA Black Hills Healthcare System in Hot Springs, SD. During the visit, the Task Force discussed the proposed reconfiguration of services at the Hot Springs VAMC and Secretary Shinseki’s January 7, 2014 announcement to move forward with an Environmental Impact Statement. 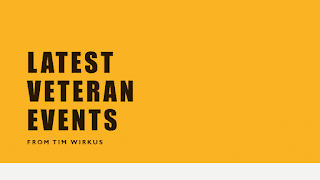 The Social Security Administration announced a new initiative to expedite disability claims for veterans with a Department of Veterans Affairs (VA) disability compensation rating of 100% Permanent & Total (P&T). Under the new process, Social Security will treat these veterans’ applications as high priority and issue expedited decisions, similar to the way the agency currently handles disability claims from Wounded Warriors. The program begins March 17. On February 18, 2014, a VA Office of Inspector General (OIG) report uncovered unsanitary conditions at the VA Connecticut Healthcare System in West Haven, Connecticut. The OIG found that cleanliness of the Operating Room (OR) could not be assured due to inadequate staff resources, incomplete and inconsistent Standard Operating Procedures (SOPs), poor supervision and training of EMS staff, and lack of oversight. OIG also found that safeguards were inadequate for ensuring patient and employee safety when infectious patients requiring special precautions were scheduled for OR procedures concurrently with noninfectious patients. The OIG recommended that the Facility Director strengthen SOPs for OR cleaning and develop and implement policies and procedures to address management of infectious patients, HVAC preventive maintenance, and insect control in the OR. OIG recommended that the Facility Director reassess EMS staffing needs in the OR, assign personnel requisite to the workload, and ensure that EMS staff and supervisors receive training on OR environment of care requirements. Additionally, OIG recommended that the Facility Director implement procedures to monitor the OR environment of care and to address identified deficiencies. 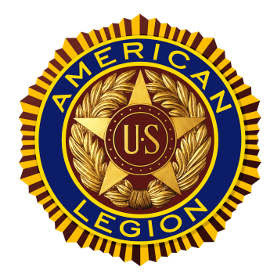 The American Legion will follow-up with the VA Connecticut Healthcare System to ensure that the OIG’s recommendations are being fully implemented. On February 20, 2014, William Montague, former director of the Louis Stokes Cleveland VA Medical Center, plead guilty to multiple federal charges in a bribery case. The charges against Montague involved him taking bribes in exchange for influencing VA decisions on more than $1 billion in contracts. Montague has agreed to pay more than $390,000 in restitution and forfeiture. Montague was director of the Louis Stokes Cleveland VA Medical Center from 1995 to 2010. The American Legion’s System Worth Saving Task Force will visit the Louis Stokes Cleveland VA Medical Center from March 10-13, 2014 to follow-up on the quality of healthcare offered to veterans, as well as the past, present, and future of Cleveland’s care to veterans. A recent report published by the Daily Caller and later reported on FOX News indicated Department of Veterans Affairs (VA) personnel destroyed records in an effort to reduce the backlog of VA medical appointment is the Greater Los Angeles VA Healthcare System. After reviewing the available information, it appears that VA was not destroying records; in fact, VA released a statement stating that the medical records would have been included in the electronic health record system and would have been unable to be destroyed. Available information suggests that for patients failing to appear for medical appointments or did not respond to appointment requests, the information pertaining to the appointments was removed from the system. It was reported this case was occurring in a radiology unit; clinical chiefs indicated that requests outstanding over a year may be irrelevant as a veteran’s condition may have changed and would warrant further instruction from the veteran’s primary care provider. Recognizing that radiology is a specialty that is often directed by requests provided by the primary care provider, this would appear to be a reasonable response. The American Legion’s Veterans Affairs and Rehabilitation Division will continue to closely monitor this incident. As it currently stands, it does not appear that malicious acts were taken by VA employees; it appears the acts taken were designed to organize “active” and “inactive” requests. The American Legion spoke with OIG on Monday, February 24, 2014 and found that the five day standard was specifically for hearing aids to be repaired, not issued as written in the Washington Times article. According to OIG, the VA does not currently have a specific standard for when hearing aids are supposed to be issued. The American Legion will reach out to VA’s appropriate leadership to discuss an appropriate standard on when hearing aids should be issued. 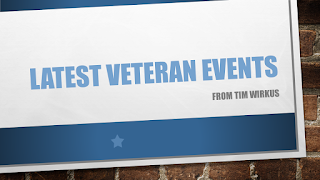 On February 21, 2014, the VA announced the rollout of new healthcare identification cards for millions of U.S. veterans who seek care from VA providers. Unlike previous ID cards, the new Veteran Health Identification Cards (VHICs) no longer display veterans’ Social Security numbers and birthdates. Nor is that information contained in the cards’ magnetic stripe or barcode. Due to previous issues with the old Veterans Identification Cards (VICs), the VA halted the distribution of ID cards in September 2013, and The American Legion will have the opportunity to discuss when veterans can expect to receive the new VHICs with VA’s Chief Business Office at the Veterans Service Organization Liaison Meeting on Tuesday, February 25, 2014. On February 19, 2014, it was reported that Michael Anderson, a veteran buried in violation of a federal law that should have prevented him from receiving the honor of being buried in a National Cemetery, was disinterred from Fort Custer National Cemetery near Battle Creek, Michigan. Anderson killed Alicia Dawn Koehl, and wounded three people on May 30, 2012 before taking his own life. The family of Ms. Koehl turned to Senator Dan Coats, who appealed to VA Secretary Eric Shinseki before introducing the Alicia Dawn Koehl Respect for National Cemeteries Act. This bill authorized the VA to disinter Anderson’s remains and those of any other veterans who committed capital offenses, was passed and signed into law on December 20, 2013. February 26, 2014. Senate Armed Services Committee, Personnel Subcommittee will be conducting an open session on the relationships between military sexual assault, posttraumatic stress disorder and suicide, and on Department of Defense and Department of Veterans Affairs medical treatment and management of victims of sexual trauma. March 5, 2014. House Veterans' Affairs Committee and Senate Veterans' Affairs Committee will hold a joint hearing to receive the legislative presentation of Veterans of Foreign Wars. March 6, 2014. House Veterans’ Affairs Committee and Senate Veterans Affairs Committee will hold a joint hearing to receive the legislative presentations of Veterans Organizations: BVA, JWV, MOPH, AMVETS, TREA, MOAA, VVA, NGUAS and NASDVA. March 12, 2014. House Veterans’ Affairs Committee and Senate Veterans Affairs Committee will hold a joint hearing to receive the legislative presentations of Veterans Organizations: PVA, IAVA, GSW, WWP, FRA, AFSA, NCAO, AXPOW. March 25, 2014. SAC-MILCON-VA FY15 Budget Hearing. March 26, 2014. House Veterans’ Affairs Committee and Senate Veterans Affairs Committee will hold a joint hearing to receive the legislative presentations of The American Legion. March 27, 2014. HAC-MILCON-VA FY15 Budget Hearing.